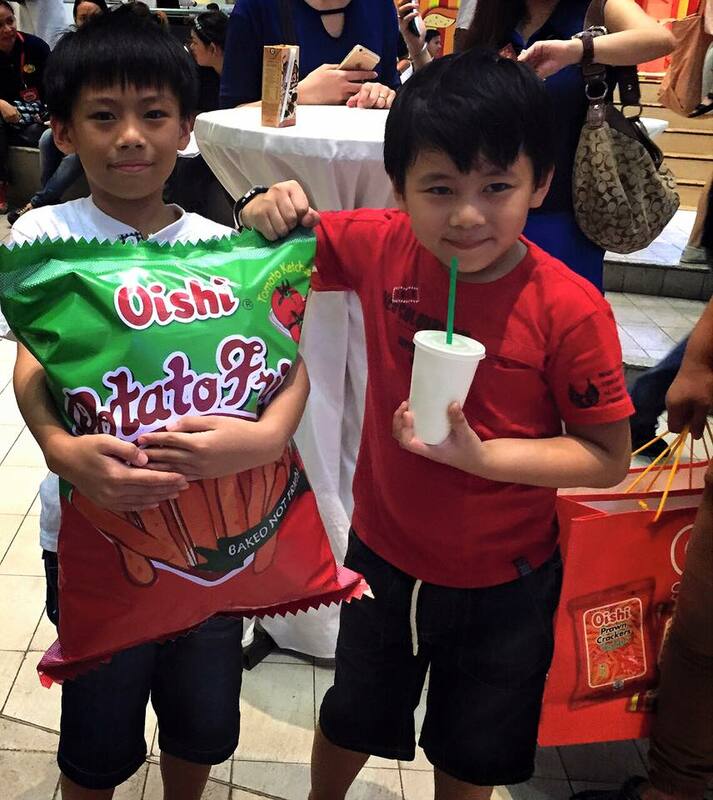 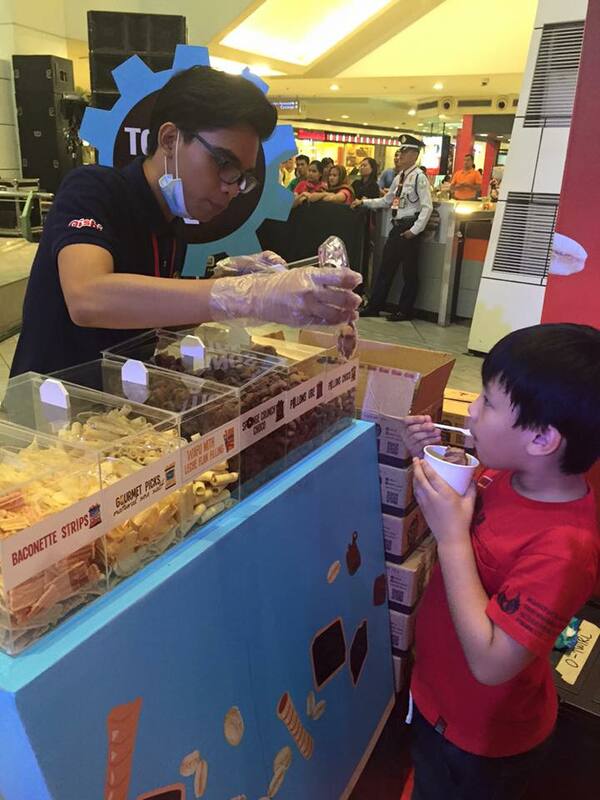 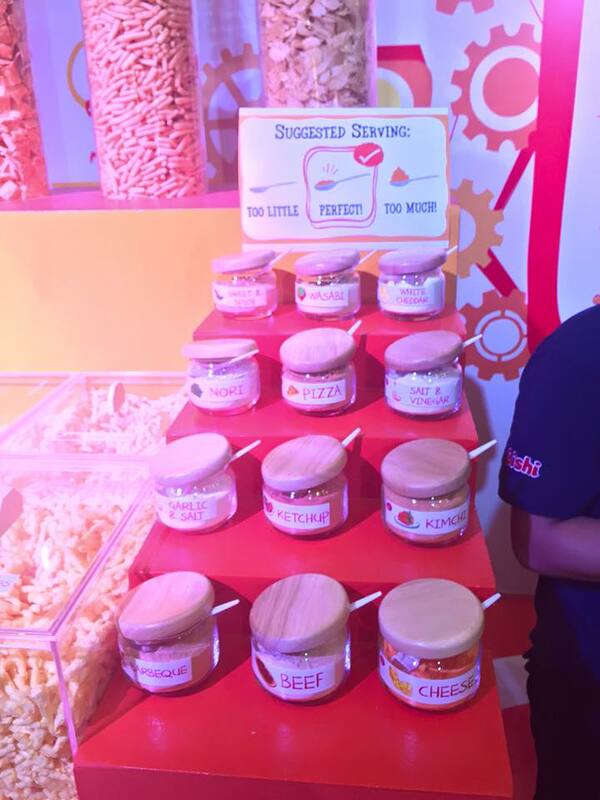 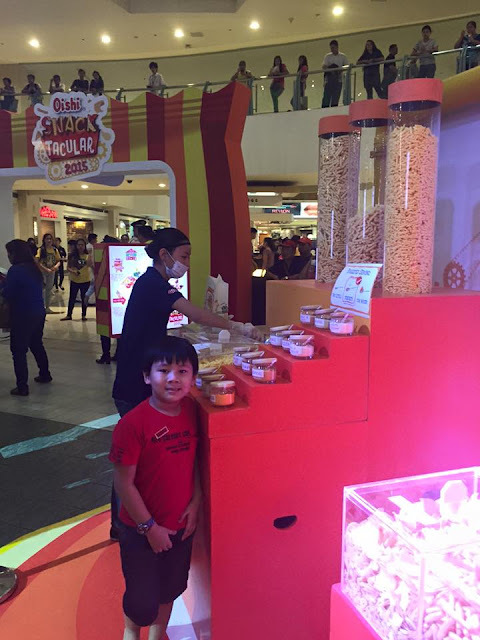 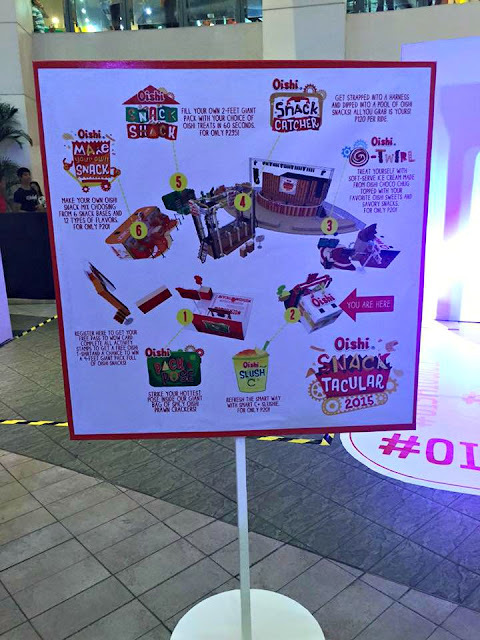 Oishi Snacktacular 2015 at Trinoma Activity Center this weekend! 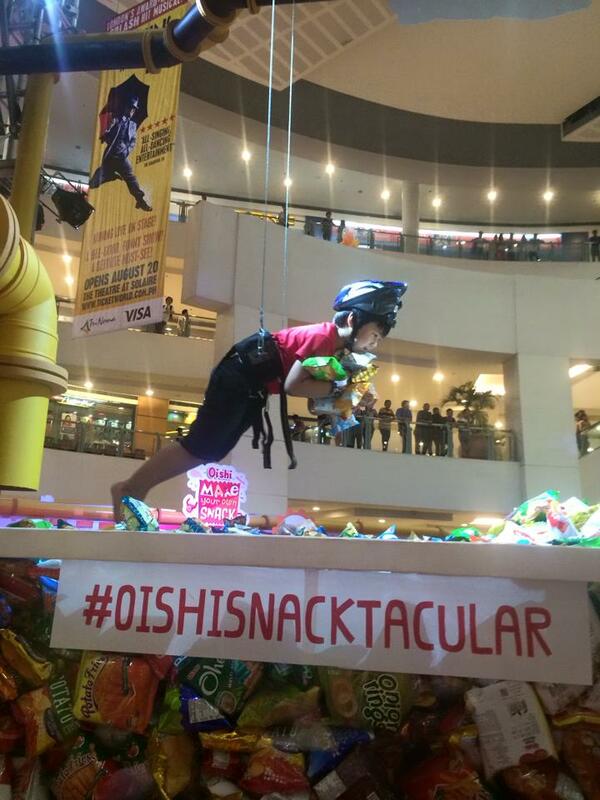 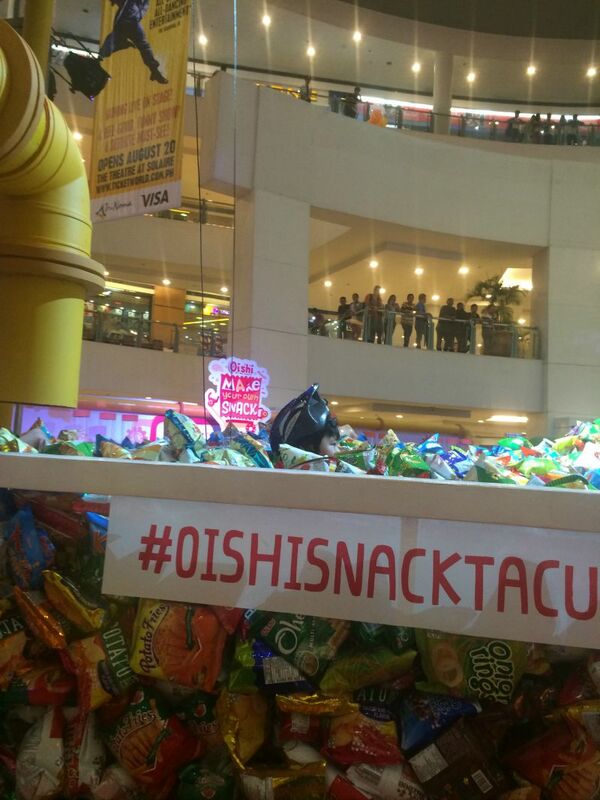 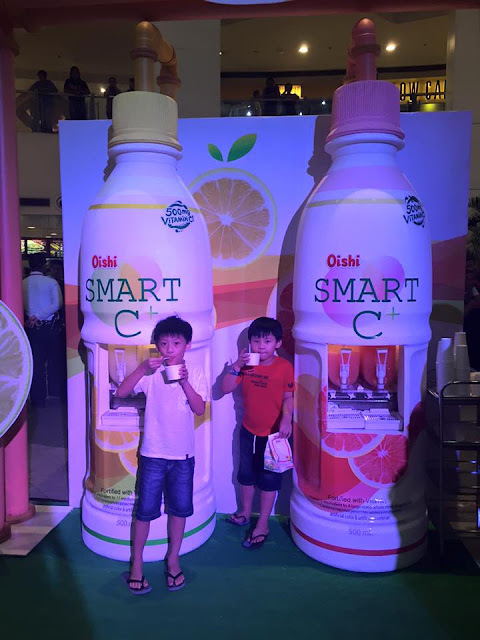 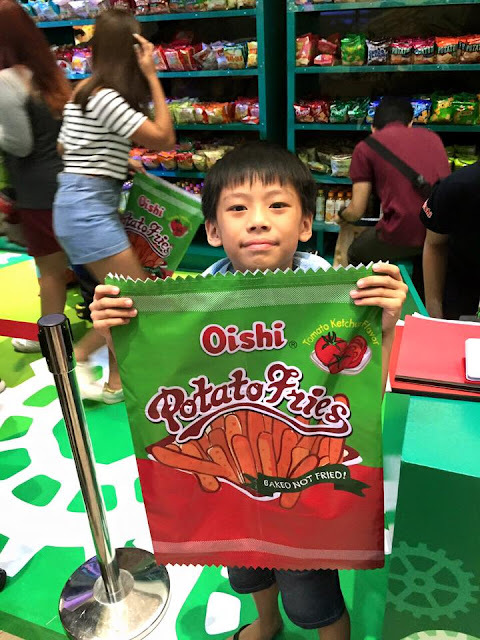 The Oishi Snacktacular event is an incredible activity to bring your family and friends with you. Oishi Snackstacular is a three-day event from August 7 to August 9 at the Trinoma Activity Center. The event is FREE for everyone but you just need to pay minimal fee per play on each activity booth. There are also games and prizes throughout the day so be sure to check it out. 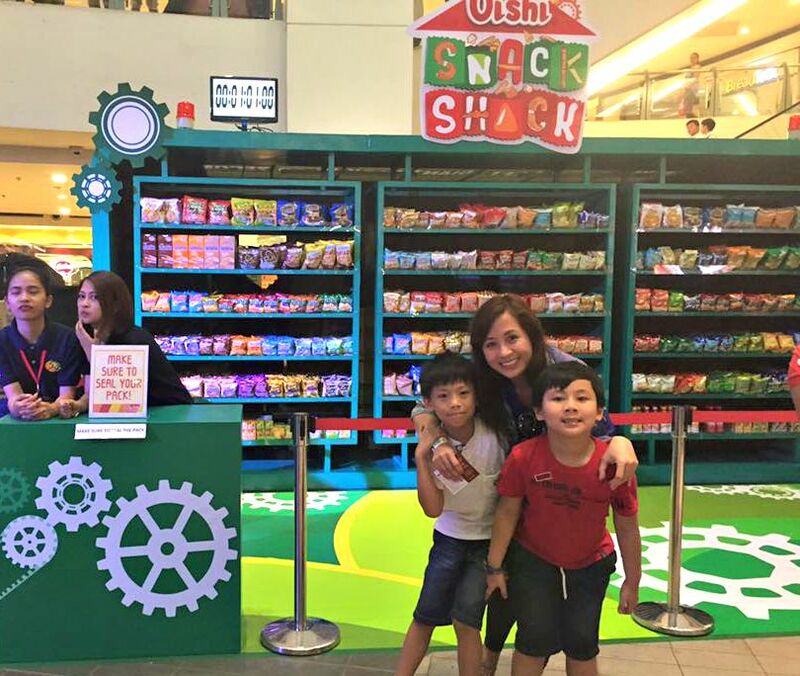 My kids and I enjoyed all sorts of activities and treats at the O, Wow Activity booths. Here’s what you can do at the most O, Wow! event of the year! 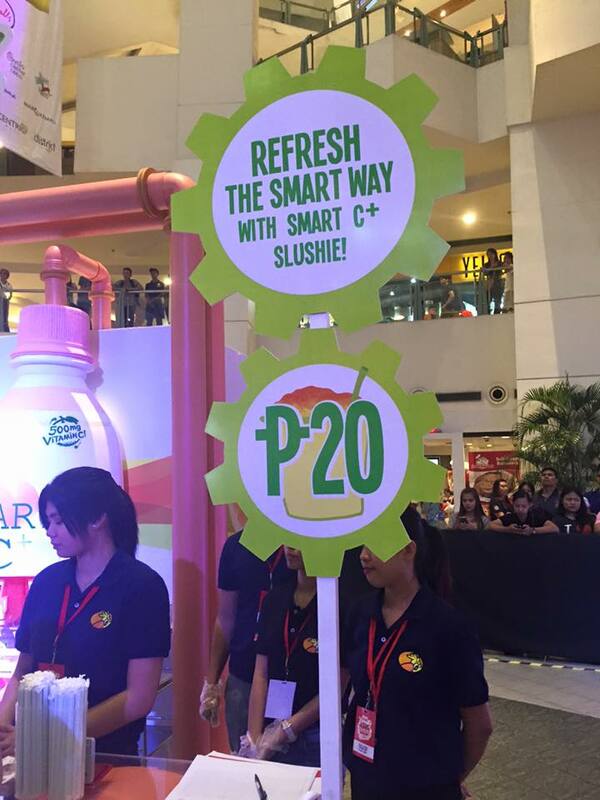 First, you need to go to the Registration Booth to get a Pass to Wow card. 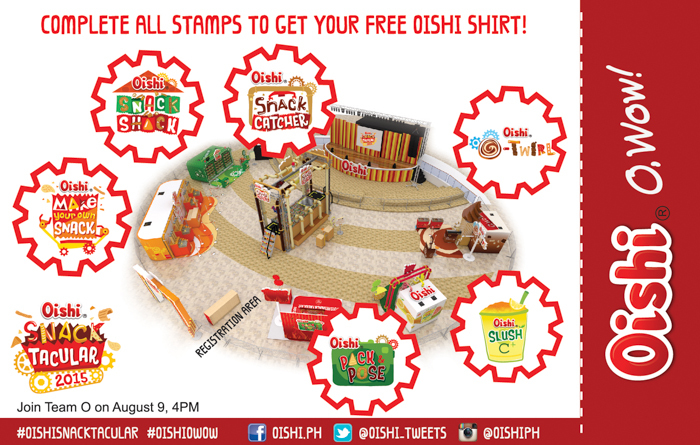 Get your card stamped at all 6 activity booths to get a FREE Oishi Shirt and your chance to join the raffle for a chance to Win a Limited Edition 4ft. 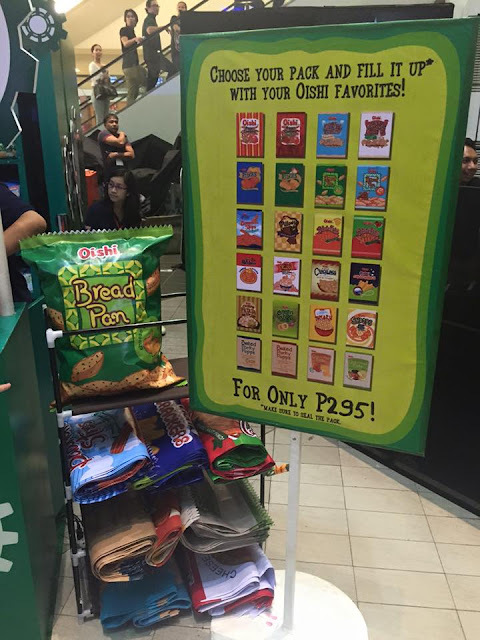 Giant Oishi Pack full of your Oishi Favorites plus P2,000 worth of GCS. 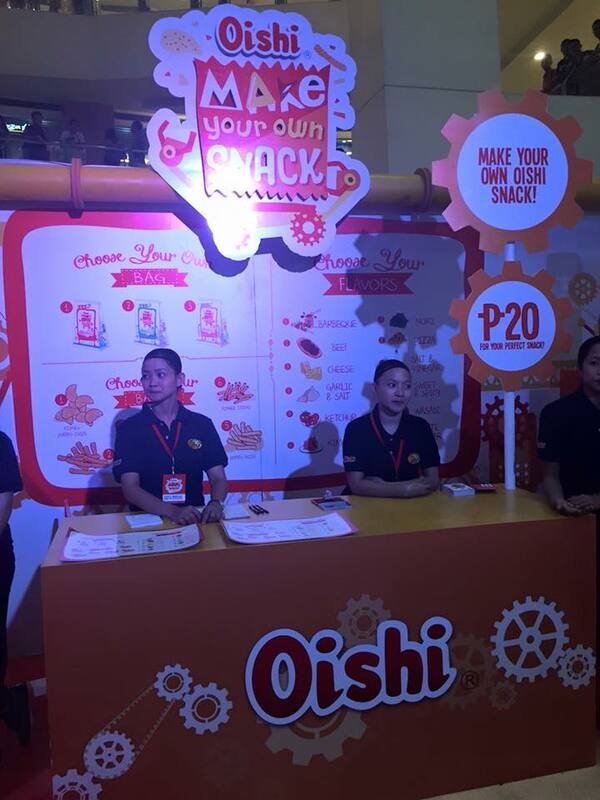 Activity Booth 1: Oishi Slush C+- Treat yourself to 12oz slushies for only P20. Activity Booth 2: Oishi O-Twirl- Enjoy soft-served ice cream from Oishi Choco Chug Chocolate Milk for only P20. 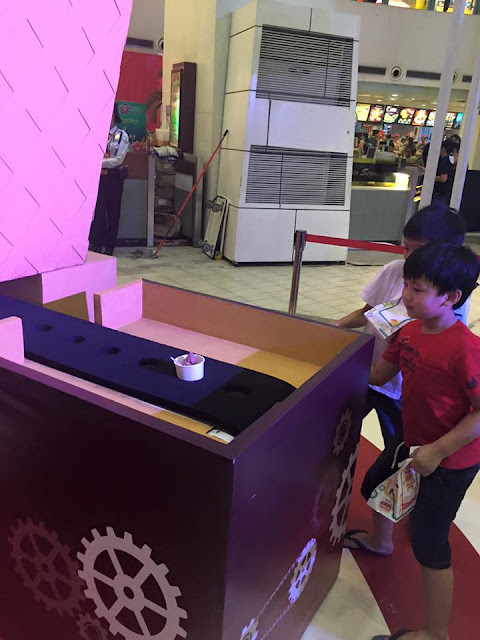 My kids had so much fun twirling the knob to get their ice cream. 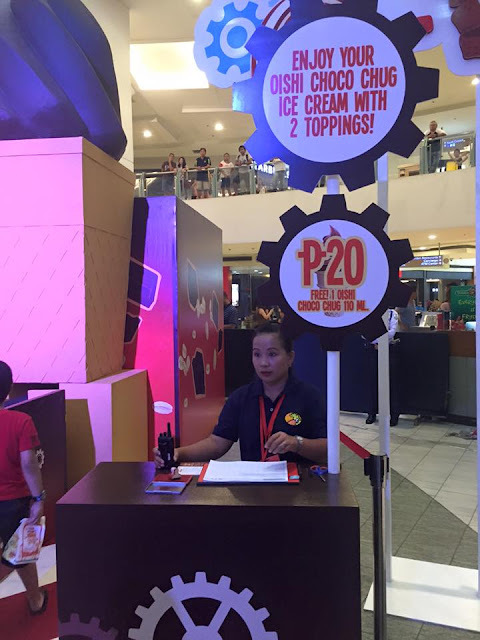 You get to pick 2 toppings to put on your ice cream. 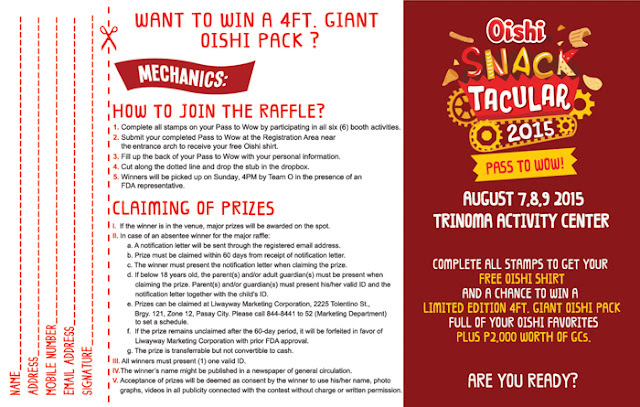 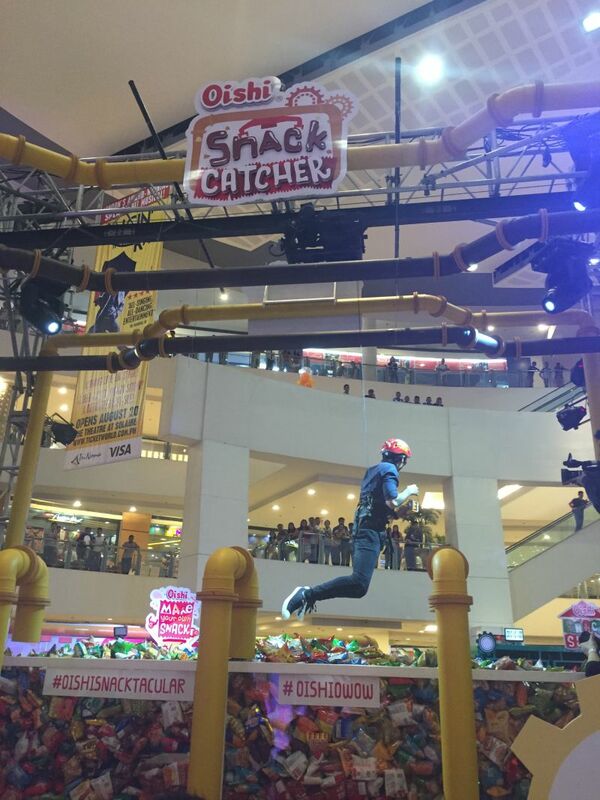 Activity Booth 3: Oishi Snack Catcher- Be the human crane or think arcade game UFO catcher, with you as the UFO claw. then Grab as many as you can to keep for only P120. 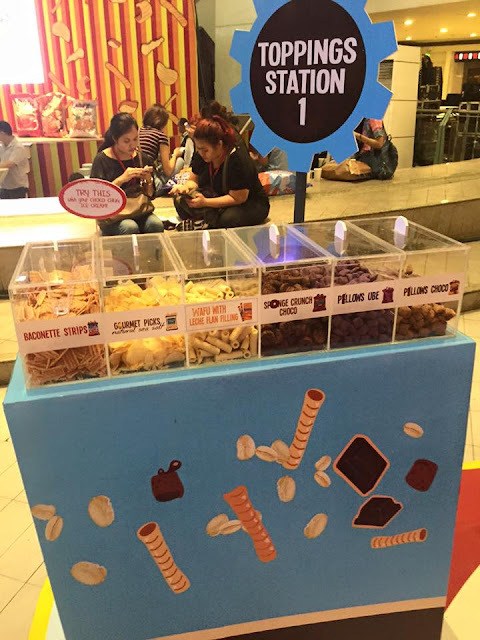 Activity Booth 4: Oishi Snack Shack- Get your own 2-feet giant pack. You can choose your bag design and fill it with your choice of snacks and drinks in 60 seconds for only P295. 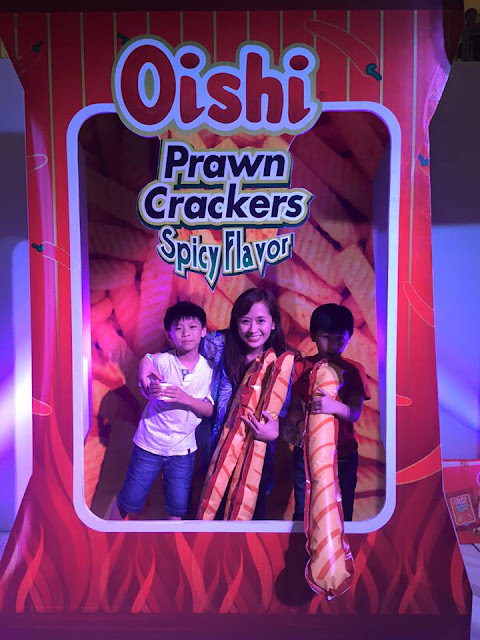 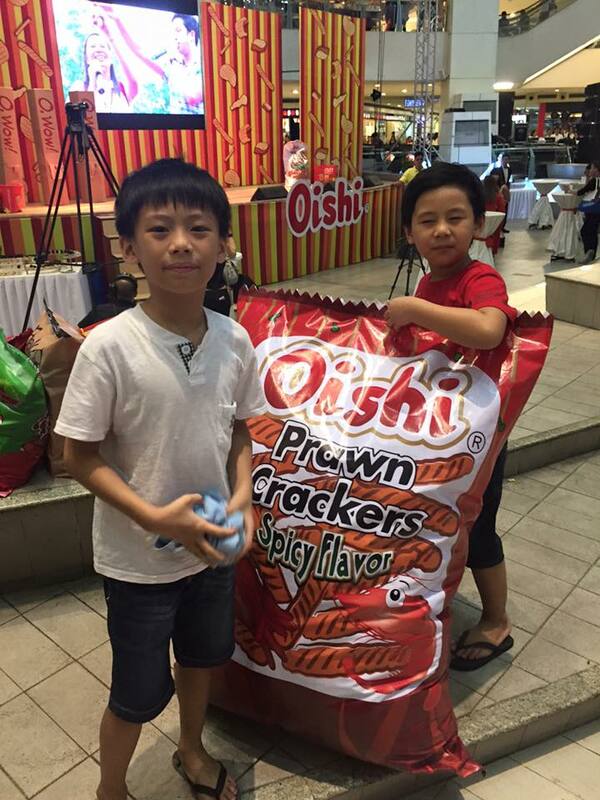 Activity Booth 6: Pack & Pose- Take a souvenir photo for FREE inside a pack of Oishi Prawn Crackers Spicy Flavor photo booth. 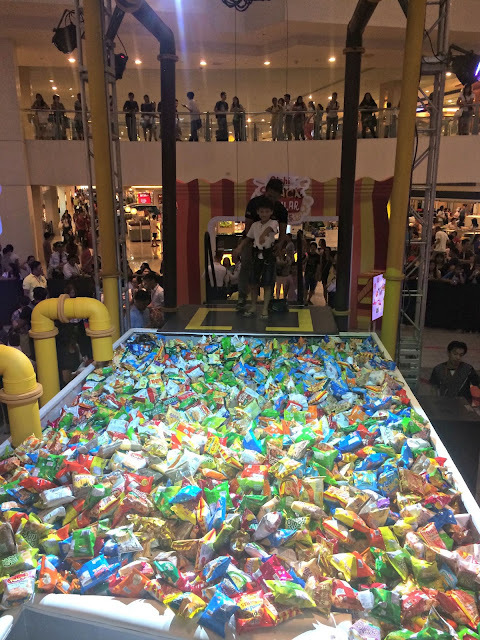 Meet and Greet Team O members Daniel Padilla, Kathryn Bernardo, Alex Gonzaga, Elmo Magalona, Slater Young and Ramon Bautista plus more surprise celebrities!